Transformer oil or insulating oil is a highly refined mineral oil remaining stable at high temperatures and has excellent electrical insulating properties. It is vitally important for the safe and efficient operation of many types of electrical equipment such as power transformers, instrument transformers, circuit breakers and high voltage bushings. Transformer oil is used as liquid insulation and dissipates transformer heat. More specifically, the transformer oil is used as a coolant in transformers and as a means of arc suppression in circuit breakers (apart from its insulating properties). Transformer oil not only helps to preserve the core and windings which are fully immersed with oil, but also prevents direct contact of atmospheric oxygen which causes oxidation of the cellulose made paper insulation around the windings. Transformer oil is in an environment that leads to degradation of its desired properties. Even with a proactive maintenance program, it degrades over a period of time. When in service, oil can be contaminated by particles, water, gases and chemical products. In each case the operation of the electrical equipment depends on the purity of the insulating oil. Should electrical equipment be continuously operated with contaminated fluid, its efficiency will be impaired, resulting eventually in the risk of total failure. All high capacity transformers in use today have to cope with voltages in excess of 400kV. The rating requirements and drive to tighter tolerances in the manufacture of modern transformers and electrical apparatus results in greater electrical stress on insulating material and fluids. Transformer oil loses its insulating/cooling properties and is contaminated over a period of time. Chemical products are caused by oxidation, as well as cross contamination of other products. Although individually each contaminant reduces the insulating characteristics of the oil, the combination of fibres from insulating material and water can reduce transformer performance by up to 90%, so it is imperative to maintain insulation properties of the transformer oils by rigid control over moisture, dissolved gases and particulate contamination. High operating temperatures, the presence of oxygen and water combined with catalytic action of the materials within the transformer, result in oxidation and cracking of the oil. Insulating oil filtration maintains the integrity of the oil and hence the efficient utilisation of the electrical equipment. 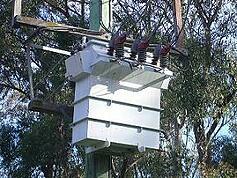 With correct maintenance, transformers which are designed to achieve an expected life of 40 years can be achieved. The periodic and proper treatment of transformer insulating fluids will result in the improved properties of the entire insulating system of a power transformer and will extend the effective life-time of the asset.